Syntech, to offer a 360 ° service, has included among its complementary activities the workings and constructions in plastic ( pvc – pp – pvdf – ptfe ) on particular projects supplied by the customer. 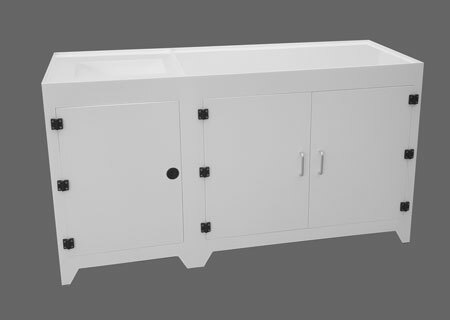 Among the wide range of applications made include: tanks, cabinets, tables and work benches for laboratories, assembly of pipes, tanks and distribution lines and weighing systems for chemicals. 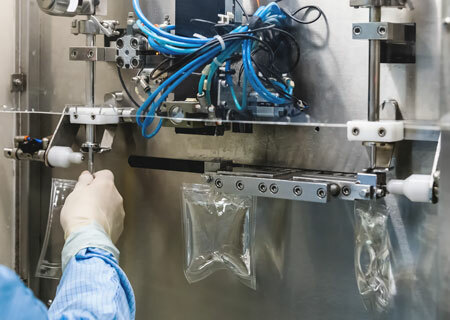 They are designed and produced in the pharmaceutical and chemical field, they are positioned below the tanks containing the chemical substances and are used for the constant control of the dosing processes of the substances used. Syntech guarantees maximum safety for operators and the environment by taking measures to contain any losses. 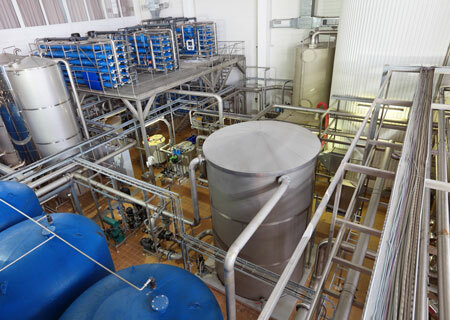 Dosing systems use special pumps compatible with chemicals. In synergy with the materials composed of the pipes used, they guarantee the transport and the lifting of substances towards the storage point. Syntech guarantees maximum safety for operators and the environment by taking measures to contain any losses. Syntech makes its equipment and know- how available to the customer in order to be a valid technical and professional support for transforming a project into a product in any field of application.